Here are some ways you can partner with us. Meet others in the Shore Community at a Foundation event. School fees alone do not provide enough capital to continue building the school. The Shore Foundation is committed to Shore’s continual development. For over 128 years, Shore has been committed to providing a standard of education second to none. To ensure this standard is maintained along with the independence and sustainability of Shore throughout this century, we require the ongoing assistance from the Foundation. 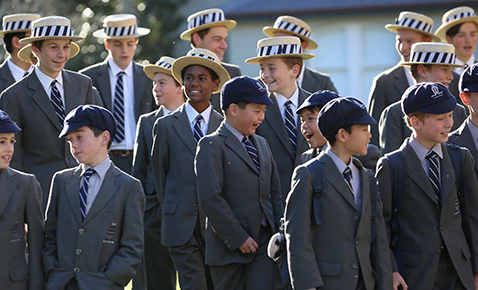 The Shore Foundation provides an income stream to enable the School to improve and create facilities which meet the needs of Shore boys of today and future generations. It is made possible by the generous financial assistance of those who have supported the School and I thank every one of you.